NEW YORK — If there was a quote which best summed up the problem that WBC champion Deontay Wilder presents to the rest of the heavyweight division, it may have been uttered by his promoter in the aftermath of Saturday's thrilling TKO of fellow unbeaten Luis Ortiz. "His punching power is ungodly," Lou DiBella said. "It allows him to make mistakes that other people can't get away with." If you notice the keyword in that statement, it was "mistakes." Despite knocking out every opponent he has faced, Wilder (40-0, 39 KOs) still makes plenty of them and his critics won't let him forget about it. An athletic freak at 6-foot-7, the native of Alabama didn't start boxing until he was 21 and, despite winning a bronze medal at the 2008 Olympics, still presents a crude style reliant upon the fight-saving power in his right hand. 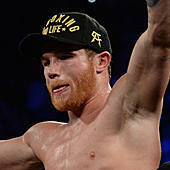 It was that same right hand which bailed Wilder out again on Saturday in spectacular fashion as he rallied from the brink of defeat after being battered in Round 7 to dramatically stop Ortiz three rounds later in front of a delirious crowd of over 14,000 at Brooklyn's Barclays Center. This was the kind of statement, career-defining victory that Wilder, 32, has needed and lusted for against heavyweight's most dangerous and avoided fighter. Yet, it didn't take long after his victory that Wilder's haters only retooled online. He never used his jab as a weapon. He wouldn't have been anything more than a sparring partner for [insert legendary heavyweight's name] during the [1970s or 1990s]. While it's not that some of those criticisms are untrue, the idea of cynicism after such a rousing and important performance -- with the kind of edge-of-your-seat drama the division has largely lacked for 15 years -- only spoils what Wilder actually accomplished. "In boxing, there are so many critics," DiBella said. "Everyone likes to criticize everybody and no one is ever happy with anything in this f—ing sport. It's f—-ing hilarious. What makes boxing such great theater and such great poetry is the 'mano a mano' -- the man against man and the woman against woman. "There are all these factors like athletic ability, but it's also desire. It's taking punishment and heart; what your balls and self confidence are like. It's all those intangibles together that determines whether someone is a great champion or not." For all of the questions Wilder entered the ring with on Saturday, he answered the two that mattered most with intoxicating zeal: He's tougher and more determined than we ever gave him credit -- proving his critical worth -- and he's far more important to the future of the sport in America -- proving his commercial worth -- than we ever realized. By proving who he truly is against Ortiz, instead of trying to become who is critics think or want him to be, Wilder took a giant step forward to becoming the face American boxing needs and, just as importantly, what the long dormant heavyweight division deserves. Warts and all, Wilder produced the kind of raw, Tysonesque drama on Saturday that creates new fans and reconnects with those who have long tired of boxing's B.S. And by finally being matched tough against an elite foe, he produced the kind of inspiring entertainment that can't be bought through one-sided mismatches in showcase fights on network television. Unlike the flawless and defensive Floyd Mayweather, who was forced to "turn heel" in order to build a pay-per-view consumer base off of those hoping to see him lose, Wilder embodies the same working-class spirit of those who will need to get behind him in order for "The Bronze Bomber" to become a crossover star. Like unified champion Anthony Joshua's star-making knockout of former heavyweight king Wladimir Klitschko last April in which he got up off the canvas to rally, the beauty of Wilder's victory is that he was so successful in spite of his flaws. For everything we can say about the marketability of Wilder's power, it's his vulnerabilities that might end up adhering him most to the general public. "I've got the heart of a lion and that's just what it is," Wilder said. "I tell people all the time: I'd rather be the part than look the part. It's not about all the things that people get so wrapped up in their minds about boxing. It's a beautiful sport and there's a sweet science to this, but it's all about who has the bigger heart. Tonight, I showed that I have the bigger heart and I solidified myself at the top as the baddest man on the planet." Wilder's heart and chin were best on display in Round 7 when Ortiz hammered him from pillar to post with clean punches that left him wobbled. But the champion, remarkably, never went down. "On a night where he probably didn't have his most perfect night as a boxer, he had a great night as a fighter and a great night as a person overcoming adversity," DiBella said. "He never in that fight stopped believing in himself, even when he looked like he was out on his feet in the seventh round. That's what a champion is. That's what it's all about." It has long been said that as the heavyweight division goes, so does boxing. It's an axiom which is never more true than in the United States, where boxing is forced to scratch and crawl for front-page headlines against the competition of team sports and scripted entertainment. With the polarizing Mayweather gone, a new American star has yet to emerge to take his place as the current "boxer of record" in the public's consciousness. Undisputed junior welterweight champion Terence Crawford has the ability but not the gift of gab or a defining victory. Meanwhile, pound-for-pound ranked welterweights Keith Thurman and Errol Spence Jr. have yet to truly cross over and likely need to fight each other to have a fighting chance. But Wilder offers something that his American contemporaries can only dream of. He's equal parts brash and humble, and has evolved into a one-man marketing machine each time he opens his mouth. As a heavyweight, he also offers the one currency which transcends the barriers that often holds boxing back from the mainstream: raw, violent power. Provided his critics can pause long enough to realize what they have, Wilder just might prove to be everything that boxing needs. Yes, he's still unpolished, but in many ways that's the hook. Casual fans don't come to see technical exhibitions, they usually come to see two men fight. The fact that Wilder so badly wants to face Joshua and the other titleholders -- during an era where the best have often avoided each other -- only brings us closer to a throwback era of undisputed champions, big-fight feels and champions so willing to go out on their shield. If that's the boxing you miss in America, consider Wilder your gateway drug. "Like I've always said, my goal is to unify the division," Wilder said. "As you can see, I'm not afraid to risk myself for smaller rewards and bigger risks because I want to prove to the world that I am the best. That's my ultimate goal. People are so wrapped up into who makes the most money and has the most followers. It ain't about that to me. It's about proving who's the best and America got a killer on their side, and I'm ready to put my title up against anybody in the world."